We have been working with the Crown Commercial Service to develop a new service for schools to find supply teachers and other agency staff. The new commercial deal helps schools get value for money and avoid fees for things like transferring temporary staff into permanent roles. Working as a single, multi-disciplinary team with the Crown Commercial Service and Department for Education, we’ve been building the service in an agile, iterative way to ensure we meet the needs of staff in schools who will use the service. 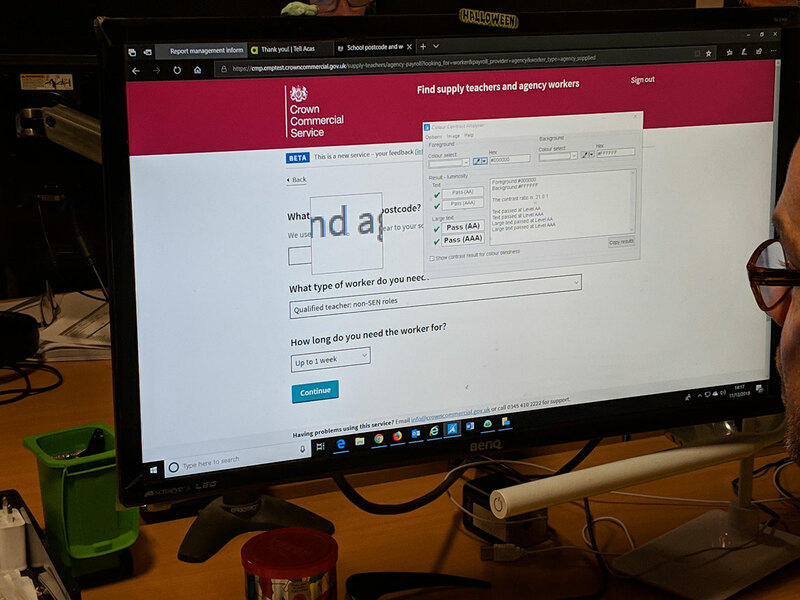 Accessibility is a crucial part of this, so in our final beta sprint we asked the Digital Accessibility Centre (DAC) to carry out an accessibility audit for the service. 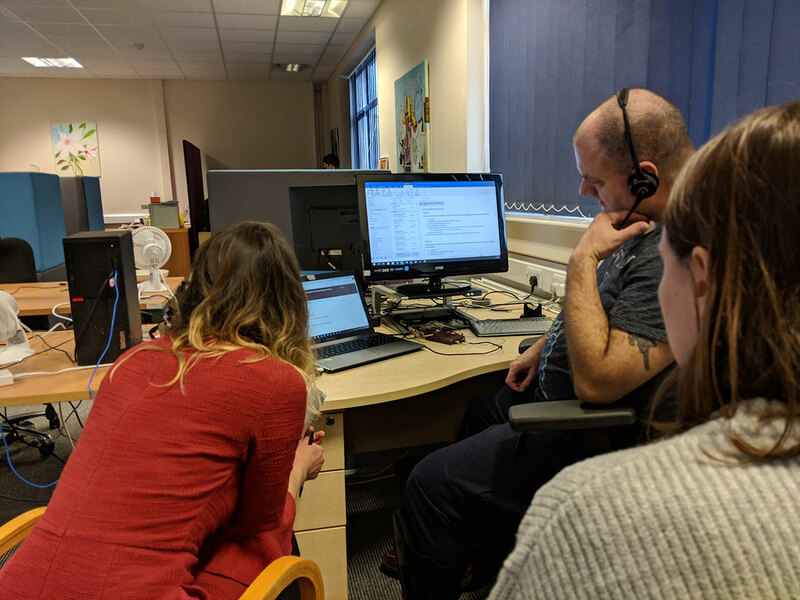 While the DAC team provide a report at the end of the audit, we also took the opportunity to visit the centre in Wales to observe their usability testing. 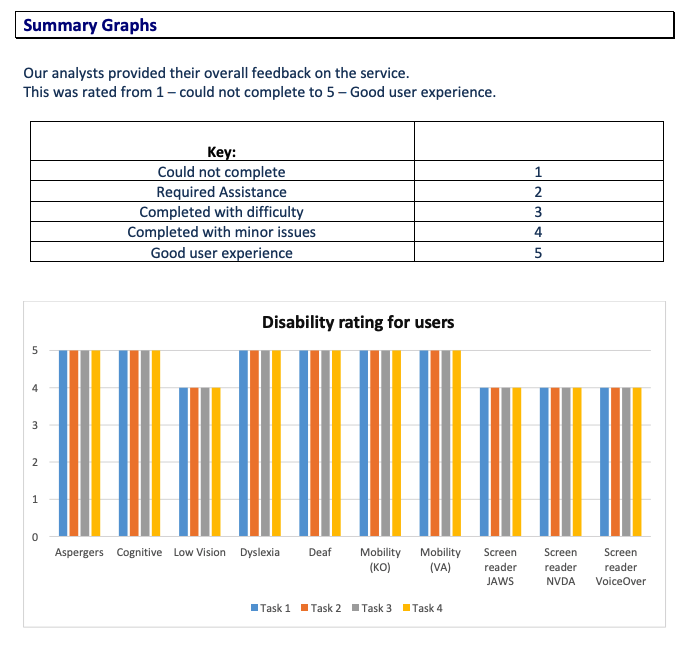 Here’s a summary of what we learned when the testers used the service on five assistive technologies. The first task involved testing the service using Dragon, a voice recognition software. A member of the DAC testing team demonstrated how they would interact with the service using Dragon, without traditional input devices like keyboards and mice. Dragon allows the user to scroll the pages, click links and buttons, select radio buttons and even perform text input by using voice to communicate with the service. The spreadsheets we have downloaded links for do not work well with Dragon and we should use HTML where possible. 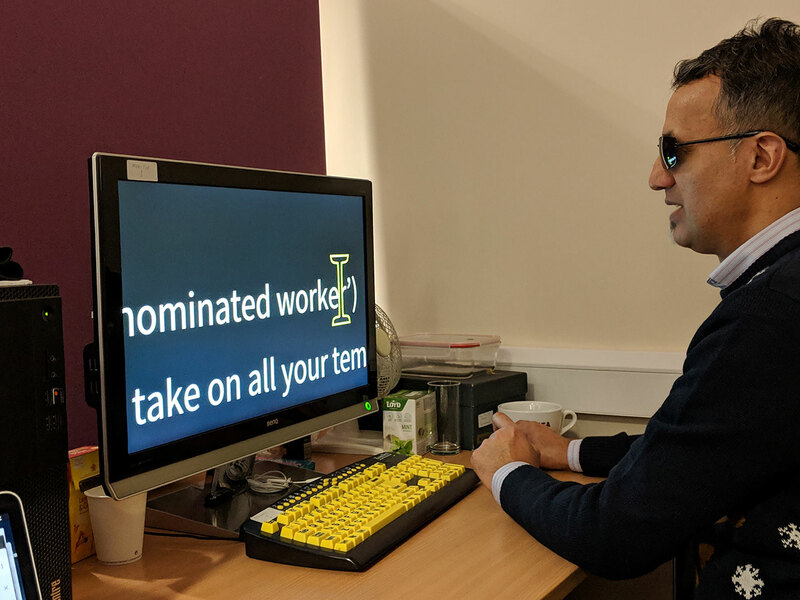 The next task was done by users with visual impairments with the aid of VoiceOver, a screen reader designed by Apple for Mac OS and iOS. With the help of VoiceOver, the users navigated through the elements on the pages by using the Tab key on desktop and a gesture on iPhone. VoiceOver reads aloud the content or the name of the elements (e.g. text input / radio button) so that users can understand it without looking at the page. Observing users who use VoiceOver. Pages with too many optional input fields could be difficult for users to navigate. We also tested our services with the help of users with reading difficulties. From this, we learned that users prefer moving images to lots of static textual content. However, users found that our service is easy to use. Tables are very useful for displaying information. During our visit, we also carried out testing with users who have relatively narrow vision. In most cases, they can only see content in the middle of the screen. That means if related content is positioned too far away from each other then it can be easily missed. Observing a user with relatively narrow vision use the service. Some font sizes are too small. The final session of the day was with a user who had lost most of his vision as a result of glaucoma. ZoomText and Audible are the main tools used by users for web navigation. The white background and black text page colours on the service were inverted in his setup so that he could read with less difficulty. Text is configured to enlarge to a very large size too. Observing the way a user who is visually impaired uses this service. Document links could be improved by adding the file format (e.g. .pdf / .doc) to the end of links. It was very encouraging to score such high marks, particularly for a service which we designed and developed in less than 6 weeks. 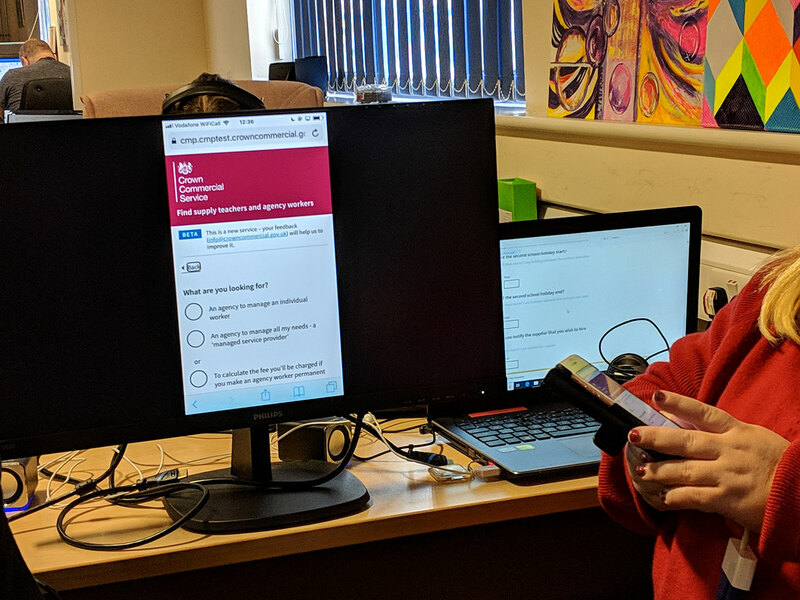 The feedback and recommendations from DAC were hugely valuable and we’re now iterating and improving the service so it works well for all users. The post Our visit to Digital Accessibility Centre for CCS Crown Marketplace appeared first on dxw digital.